If you’re even passingly involved with business continuity and planning, physical security, or crisis management and couldn’t make it to the event, we’ve put together a little summary of what we learned. Hope you enjoy. Risk assessment and intelligence gathering. Every event is different; they feature different performers and speakers, which make for a different base of supporters. Victoria Police discussed how vitally important it was for agencies to do their homework and know who is performing at an event and who’s coming to spectate. That homework includes demographic analysis of the groups and individuals expected to attend, based on ticket sales and social media monitoring. Early intervention. Events are for having a good time. But there’s a pretty thin line between boisterous good fun and plain-old disruption. So that spectator behavior doesn’t shade into the latter, event stakeholders need to do the work of meeting with support groups early on to build rapport, then continuously checking in with those groups. That way event organizers have the trust and credibility to more effectively police behavior and warn supporters that their disruptive behavior is affecting play. Working with the community. Turns out the zero tolerance policies of the past were largely counterproductive. Instead of enhancing security, those policies just alienated communities who became more estranged from law enforcement. An official part of the New York Police Department (NYPD) Shield program, Operation Nexus, a public-private partnership meant to provide counter-terrorism best practices and facilitate information sharing, provides a smart, community-focused alternative. And NYPD Commissioner, James P O’Neil was on hand to discuss the successes of the partnership. Specifically, the partnership has encouraged business owners, operators, and employees to more readily bring their experience to flag suspicious customer transactions for the authorities. Getting creative with security measures. Hostile vehicle mitigation (HVM) has also become an essential protective security feature of effective major event management. But certain HVM implementations have negatively impacted the spectator experience. As a result, venue operators and event organizers must become more creative. Tennis Australia proves an interesting use case, in this respect. The tennis association has strategically positioned its sponsors’ cars as protective barriers. The finished product looks like slick brand promotion and not a clunky security measure. Risk versus experience in overlay design. We are witnessing a decisive shift in spectator expectations about the event experience. Rather than attending to watch a game, spectators are looking for a broader experience, meaning they expect more activities than just the game itself. That’s why more events are running parallel to the actual sport. Those parallel events, however, pose a challenge for venue overlay designers. Designers must now factor in increased security measures, additional spectator entertainment areas, egress/ingress, and movement around the precinct, while still facilitating a positive, overall spectator experience. Proactive, not reactive, procurement. 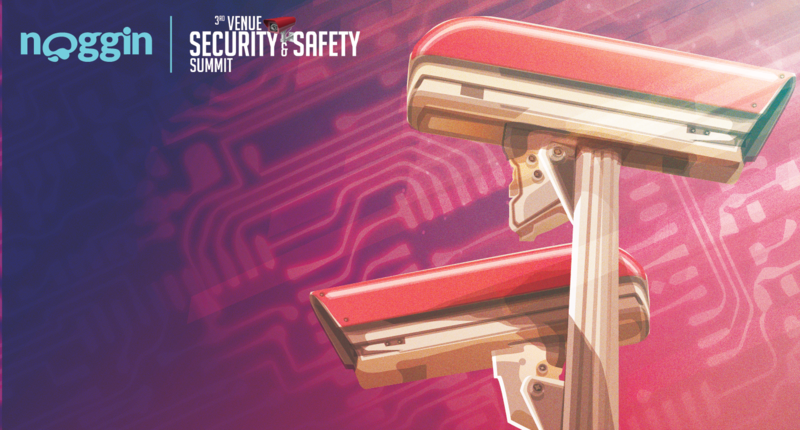 Effective event security requires time, effort, and planning. Otherwise, knee-jerk procurement will lead inevitably to cost overruns and a poor spectator experience. To avoid reactive procurement, organizations must look beyond immediate needs and to a fluid operational environment, planning for measures and systems they will use in the future as requirements evolve. As you can tell, there’s plenty going on in this space. If you’re looking to learn more, download our best-practice guide to effective major-event management.